The Citizens Commission on Human Rights South Africa not only exposes human rights violations in the field of mental health, but actively works alongside individuals and groups to bring about much needed reform, and there are many ways you can help. It is through your donations that CCHR is able to carry on with its vital work and human rights campaigns. You can make a one-time donation, a monthly pledge, or become a CCHR member. Contact us for more details. Share CCHR South Africa's Blog News on your social media pages. Also, email links of our website to people you know, or who would benefit. If you have a website then link to us. Also, follow and share our posts on our social pages: Facebook, Twitter, Pinterest, YouTube. We have videos and publications that you can distribute to others either by ordering them online, or by sending links. We also have free downloadable publications and reports which are available for easy distribution. Get active and join in the fight for reform in the field of mental health. You can get information regarding key issues relating to psychiatric/mental health abuse in your area. Contact us to get involved. 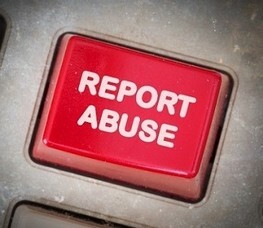 Report any mental health abuse (drugging, electroshock, involuntary commitment etc.) by filling out an abuse case form and submitting it to CCHR (all information kept in strict confidence).